Adrien Agreste is a way cooler teen than we ever were during middle school! He’s a popular kid at Collège Françoise Dupont in Paris, France. He always seems to know just what to say and Marinette totally has a crush on him. Oh, and did we mention that he’s also a superhero named Cat Noir with some crazy cat-like superpowers? Yeah, he’s got that going for him too! 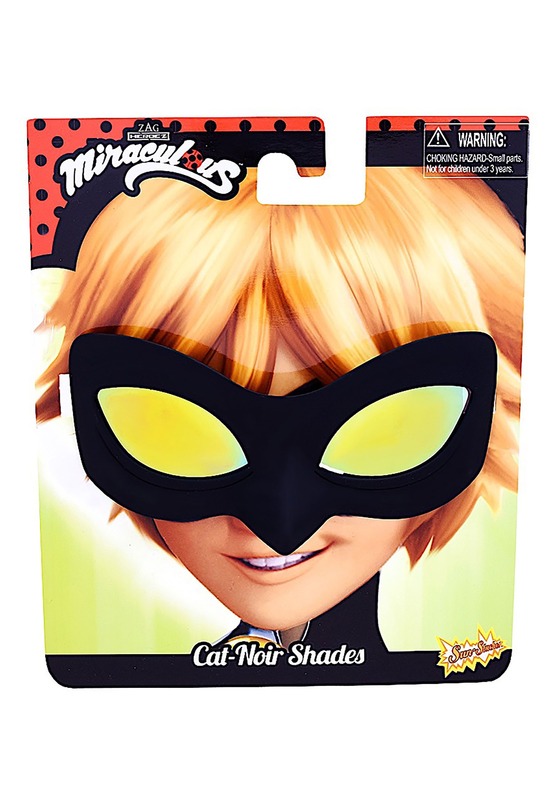 Well, maybe it’s too late for us adults to be like Cat Noir, but your kid still has a chance! These Cat Noir glasses are designed to look just like his mask from the show, Miraculous: Tales of Ladybug & Cat Noir. They fit quite easily, like any normal pair of glasses, but wearing them will get your child one step closer to being a super smooth superhero! Your child might even feel confident enough to save the city from the evil Akuma!